On 3 March, it formed reversal candlestick. 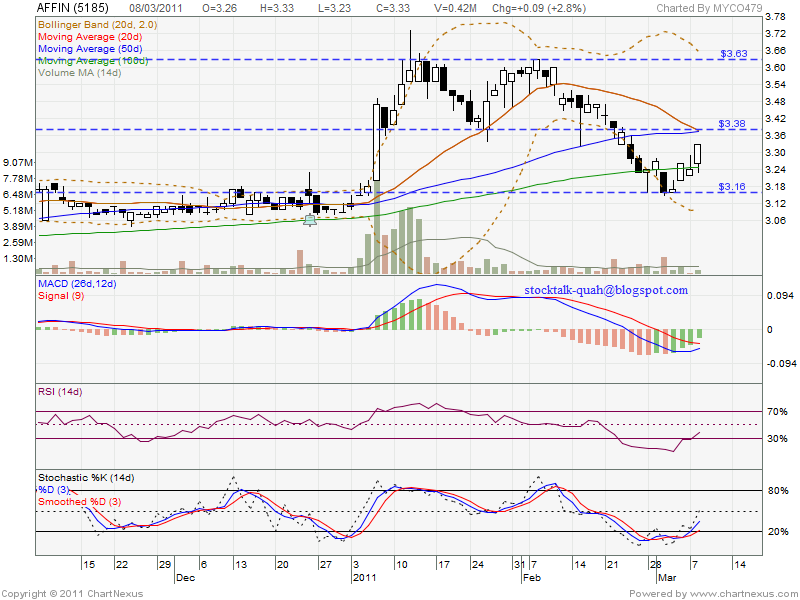 Current resistant RM3.38 which is MA20 & MA50 days. 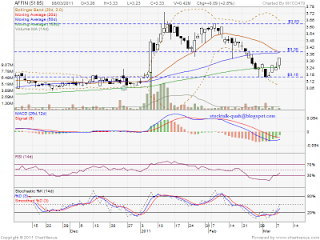 However, if retrace down, it might retest RM3.16 support level.